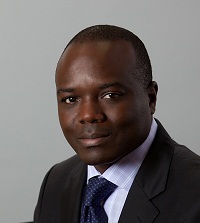 Issac A. Fordjour joined Tarplin, Downs, & Young, LLC in February 2007. He was most recently the Director of Federal and State Legislative Affairs for the National Marrow Donor Program (NMDP). Prior to joining NMDP, Fordjour worked in the office of the Tennessee House Speaker Pro Tempore where he assisted the legislative effort to establish TennCare. Fordjour is also co-founder of Legacy PAC, a bipartisan political action committee focused on supporting emerging political leaders. He serves on advisory committees for numerous organizations including the Congressional Black Caucus Foundation, the National Conference of Black Mayors, and the Democratic National Committee.